If an ultra-practical and affordable subcompact is your next vehicle purchase, you'll appreciate the 2011 Hyundai Accent's value, which includes numerous safety features, a long warranty and unusual availability of accessories. If your driving aspirations are bigger than your budget, you should also appreciate the SE three-door's sporty look, astonishingly responsive handling and cornering capability. Wonderfully safe commuter car that looks like Kermit the frog! 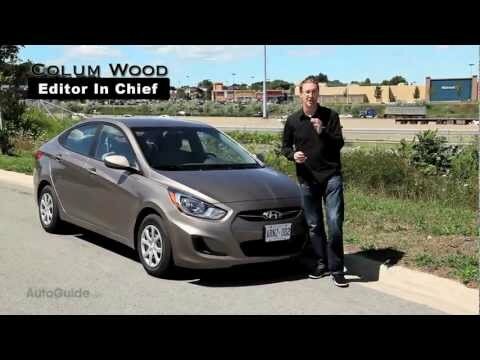 I chose the 2011 Hyundai accent because it is a great commuter car. It is comfortable to drive and has a larger than expected trunk, with a cover to prevent visual access from outside the vehicle. It is small enough that it is easy to park in large cities with minimal/small parking. It has aux, CD, and XM capabilities in addition to am and FM radio, however my specific model does not have Bluetooth. My model specifically is also manual for all locks, windows, headlights, etc., however the transmission is an automatic. There is no "cruise control" on my model of Hyundai accent, which is frustrating for longer drives, but when using it for daily commuting I do not need it anyway. The car has absolutely wonderful mpg highway and city, and is fairly inexpensive to fill up (about $25 in my local area). The back seats lay flat for extended space, which was extremely convenient when moving. I have had no mechanical issues beyond normal wear and tear, and am the second owner of the car (purchased as used in 2013). The car also has 15 airbags and held up extremely well when I was hit head on by a moving vehicle while parked. The repairs were fairly inexpensive and quickly done, and nearly all damages were cosmetic. My model does not have an alarm system, but it would be rather inexpensive to have one installed. When driven at high speeds for an extended period of time (6+ hours) I do have some issues with the tire pressure sensor turning on and off. An economy car worth considering. My car has fantastic gas mileage, about 34-36 mpg on the highway and I have had very few mechanical issues. The alternator died at around 70000 miles, and I have also had to replace an ignition coil and the brake light switch. It handles okay - it is not a luxury or sports car but it is not awful, either. For an economy vehicle it has some nice features such as satellite radio, an AUX jack, an iPod jack and both front and side airbags. It is somewhat cramped but not terribly so, and though the interior is not fancy in any way it is functional. Overall, nothing amazing but a good little car. Small, reasonably efficient, and dependable. Rides and handles well. Gas mileage is very good but not quite as good as some more recent year vehicles--between 32 and 34 mpg. Has enough power, but is no muscle car. Maintenance has been low cost, but one has to figure replacing timing belts and ignition coils at prescribed intervals, and neither is inexpensive. I drive it nearly 3, 000 miles a month, both local and longer trips. It has a limited amount of room. My 6 ft. 5 inch tall son barely fits in. Overall, however, the vehicle gives very good service at reasonable cost. I would buy another vehicle like it for a small, personal car.